Also in healthy pond water the development of algae can cause problems. The presence of nutrients and the effect of sunlight can cause a fast growth of algae. 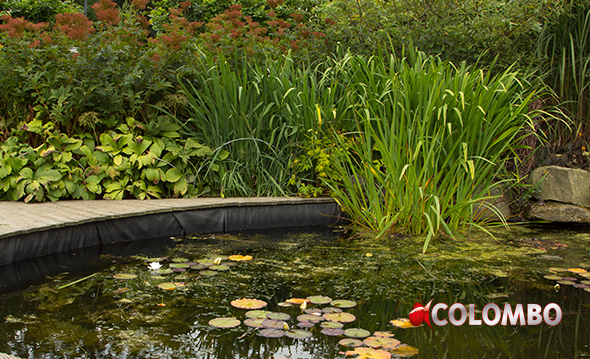 Algae can develop as floating algae, which colours the pond green and murky. In clear water blanket weed is often a problem. 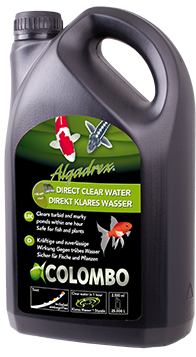 For both algae problems Colombo offers products that will solve the problem quickly and maintenance products to prevent new algae growth. In ponds floating algae often causes problems with green water. When Algadrex is added to the water it will become clear in less then an hour. The algae will clog together and will float on the surface, sink to the bottom or will trapped in the filter. 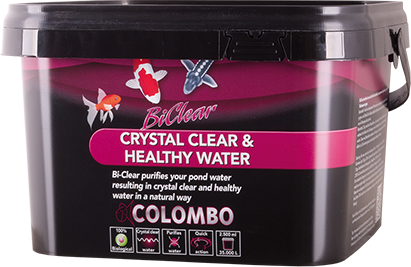 For crystal clear and healthy water Biclear combines two active ingredients, which together will create crystal clear and healthy pond water. Frequent use ensures healthy and crystal clear water.